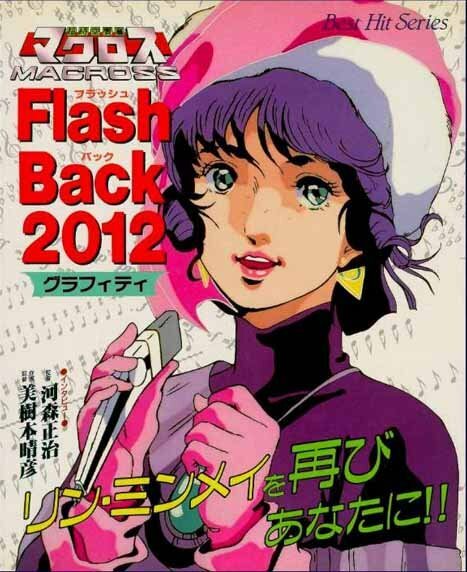 Well its kinda short (something around 30 min) musical movie that covers most of events of Macross anime and DYRL movie. It contains all Minmey’s songs as they are a main theme of all ova. 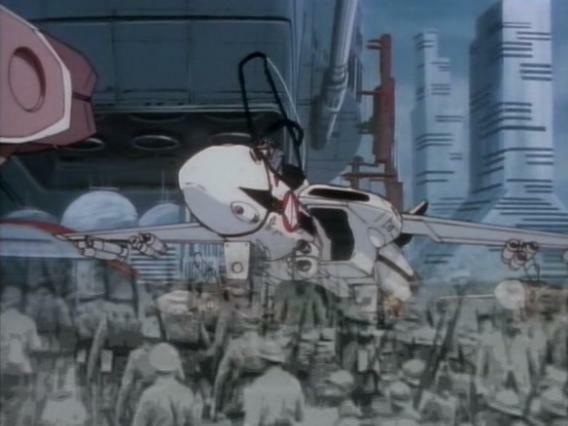 also in this ova some images of real soldiers and war scenes were shown. With sad and lyrical songs and nice melodic voice of Mari Iijima it shivers deep inside heart..
well it fits to mostly everyone – even if you didn’t see anime you might enjoy some nice songs, music and images telling some story (but it will be hard to catch), and if you saw anime, you might enjoy that as well, and nicely remember all the main events of Macross. The ending is separated – it is original and not from any other older version. Its Minmey remembering some old days and enjoying them. Also it shows how she leaves home and goes away to reach her goals. Though its not something unique, but its like saying goodbye to old and known Macross and welcome to the new one – with new characters, new stories of their own put on the already known love, fight and music line. This entry was posted in OVA and tagged Artland, Before 1990, Haruhiko Mikimoto, Macross, Shōji Kawamori, Studio Nue, Tatsunoko Production. Bookmark the permalink.